Japan got the short straw this holiday season with the PS4 coming out in February and no specific release date for the Xbox One. 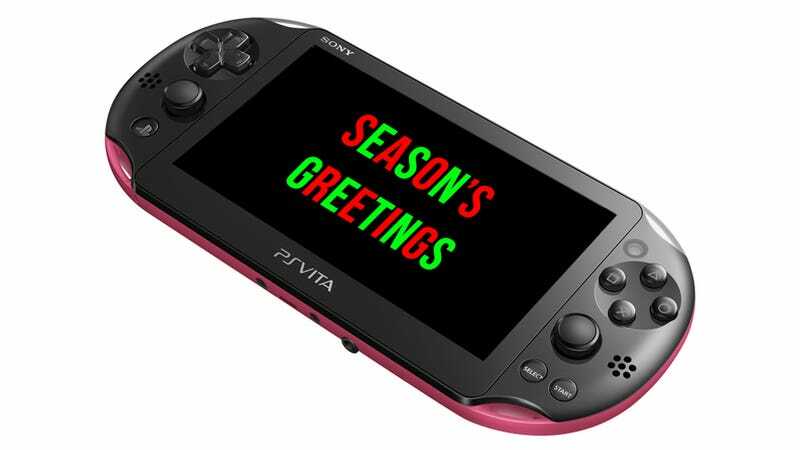 So what gaming console IS on people's Christmas wish lists in the Japan? Japanese gaming mag Weekly Famitsu conducted a poll asking gamers what they plan on getting for the holiday season. Top of the list was Sony's hand-held, the PS Vita. Of the 45 valid responses, 19 specified that they were looking to buy the not-so-portable version, PS Vita TV. The Nintendo 3DS came in 2nd, proving the popularity of hand-held consoles in Japan, with the Wii U placing 3rd. Aside from gamers, store owners were also asked what console they expected to see leap off the shelves this holiday season. Number one by a large margin was the 3DS, with store owners pointing at the popularity of mega-hits like Pokemon X and Y and Monster Hunter 4 among younger gamers to help boost sales of the Nintendo's hand-held. 2nd and 3rd place were the PS Vita and PS3, respectively. Oh, PS Vita. You're so pretty and have such potential. It's nice to see you're wanted somewhere.